St. Croix. Hurricane Maria. 100+ mph wind. 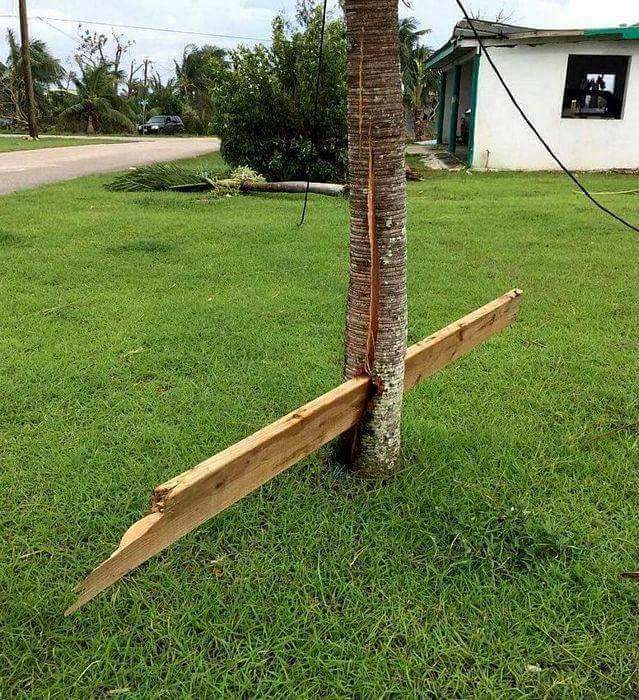 A 2×10 piece of lumber and a palm tree. My neighbor’s daughter took this photo. I can’t stop looking at it. In a split second, this tree was withstanding the onslaught of a storm and then, without warning it was pierced by a plank of wood. The wood did not shatter the tree. The tree stands. It is split down the middle, and will never be the same; but it still stands. This is a picture of truth. Truth has a way of instantaneously piercing through the depths of our core, separating us from who we were, who we used to be, into who we must now become. Truth changes us forever. Sometimes truth can be denied or ignored, suppressed or hidden for a while, but not forever. Truth refuses to stay packed away and it is often in the storms of life that truth blows in and hurls itself smack dab into the center of our lives. At least that has been my experience; truth has a way of ripping right through me. You know what I mean – when you are caught up in a whirlwind of emotion and uncontrollable circumstances and you’re desperately trying to keep everyone you love anchored to hope, and then you realize that you are more a part of the problem than of the solution. Oh yes, I’ve been there; impaled by truth. Then there are the secrets; the skeletons in the closet, the past that continues to sneak up and remind you that you are not who you think you are, nor are you who others think you are, because you know who you were when. Oh yes, I’ve been there, too; ripped open by truth. There’s the truth about people you love that you refuse to believe. No, he could never, she could never, they could never, – that’s impossible. Oh yes, I’ve been there; fragmented by truth. Why do we want to project, hide behind, or believe deceptions? Perhaps it is because we are afraid the truth will hurt more than the lie. Seriously – look at the tree! We know that truth can be life-shattering, and in that moment, we know we will never, ever be the same. We know that revealing truth about ourselves is risky – it could mean rejection. Vulnerability is dangerous, people pull back from needy people, and we needy people need people around us. Therefore, we project put-together lives that look good on-line, but are falling apart off-line. We let our friends masquerade as pain-free perfect people because we are afraid that if they show us their hurts, we may not have the salve to comfort them. We don’t ask questions, we keep our conversation light and shallow, and yet we yearn for depth in relationships. We walk on egg-shells around the people who are closest to us because we are afraid of hurting their feelings. We think we can dismantle walls of separation with our smiles while we pretend that we’re OK even as our hearts are breaking. What we need is truth. Truth that penetrates. Truth that changes things. Truth that shatters the façade. Truth that comes with the force of a 2×10 in a hurricane. Truth that heals. Heals? Yes. Heals. While the revelation of truth may feel like we’ve been hit by a board, the truth is, truth is the salve that heals the wounds left by lies and deception. The board in this photo didn’t destroy the tree, and truth won’t destroy us; but it will change us. It will change us for the better. The way to truth is through Jesus. He is the way, the truth and the life (John 14:6). He is not the way to destruction. He is the way to life healing and freedom. Jesus says that if we hold to his teaching and are really his disciples, then we will know the truth and it will set us free (John 8:31-32). But do we believe it? Do we really believe that truth will set us free from our past? 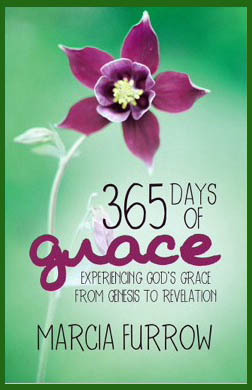 From the habits and attitudes that bind us to motives and actions that we despise. From sin? From heartache? Do we really believe Jesus’ own words? Are you lonely? The Lord is near to all who call on him, to all who call on him in truth (Psalm 145:18). Do you want to change your life, your words, your thoughts? Jesus says that God will change us, he will sanctify us by the truth; [God’s] word is truth (John 17:17). Are you afraid that no one will come alongside you, or be your friend if they know who you really were? The Apostle Paul teaches us that true love does not delight in evil but rejoices with the truth (1 Corinthians 13:6). We need not fear the penetrating force of truth for the word of God is active and alive. Sharper than any double-edged sword, it penetrates even to dividing soul and spirit, joints and marrow; it judges the thoughts and attitudes of the heart (Hebrews 4:12). The revelation of truth doesn’t always come with a life-shattering force, sometimes truth reveals itself gradually, as we study the Bible, search our hearts, apply God’s Word, seek to fellowship with other believers, and as we pray. The gentle and timely growth in understanding of truth about God, ourselves, and our place in the world will comfort and encourage us. Yes, there may still be the occasional life-shattering revelation of truth, but the Word of God always holds us together and enables us to grow stronger. Are you walking in truth? Are you leaning on the truth of God? Will you trust him to help you overcome every lie or deception that has hurt you with truth; truth that heals? Yhe truth is always safe. And yes it is a adjustment. But scripture is not a shocker..